At the Cornell Cooperative Extension of Suffolk County's Marine Environmental Learning Center works a team of eelgrass restoration experts. 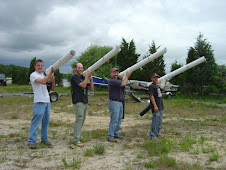 They have been actively working to restore eelgrass meadows to their past glory throughout the Peconic Estuary, and more recently have been working in Long Island Sound and in the South Shore estuaries. About twice a year they release a newsletter that highlights some of the work they are involved in. 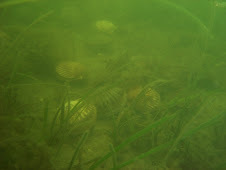 The current newsletter also highlights the scallop restoration project being undertaken in Suffolk County, a project which I am involved, and a project that allows me to conduct much of my bay scallop research. Also, if you would like to visit their website, click here. I have worked with this group in the past, and all members are very knowledgable in habitat restoration. They have experienced success in many of their transplant and restoration sites, and even developed their own methods for restoration. Now that the importance of eelgrass for many species has been ackowledged by the state of New York, which recently held a meeting of national and international seagrass experts to create an "eelgrass task force" to identify areas of research that are important to understand the dynamics of eelgrass survivng on Long Island and how best to protect it, the job of both the Cornell seagrass restoration team and Dr Brad Peterson's (of Stony Brook University) Seagrass Rangers, a team of graduate students to which I belong, has never been more important. 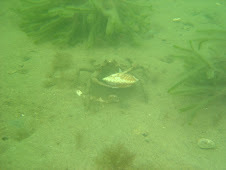 To see the seagrass ecology lab website, click here. sweet blog. how's your PHD going?